Want to quickly see how the open-source software CitusCMS works? 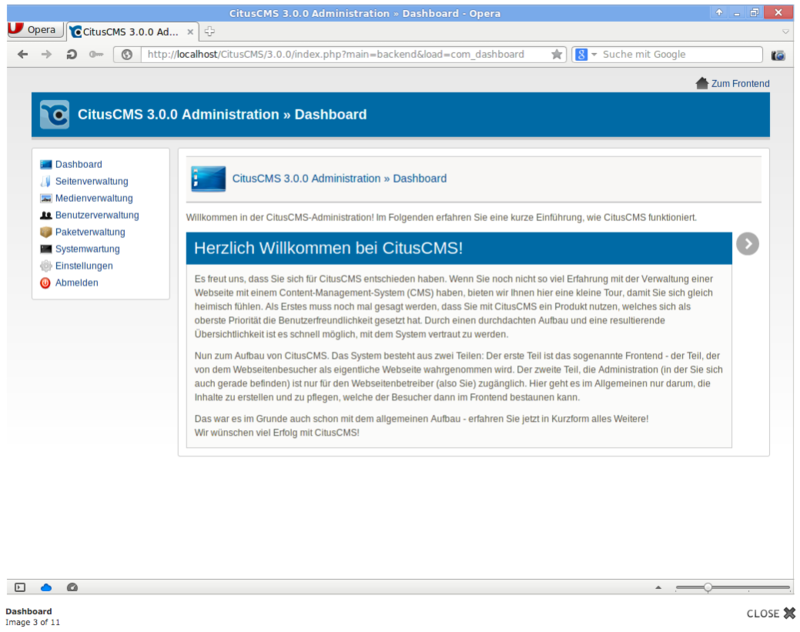 You'll find a free and updated demo installation of CitusCMS here. We are currently updating the CitusCMS demo. Please check back shortly. There will be a new version up soon. 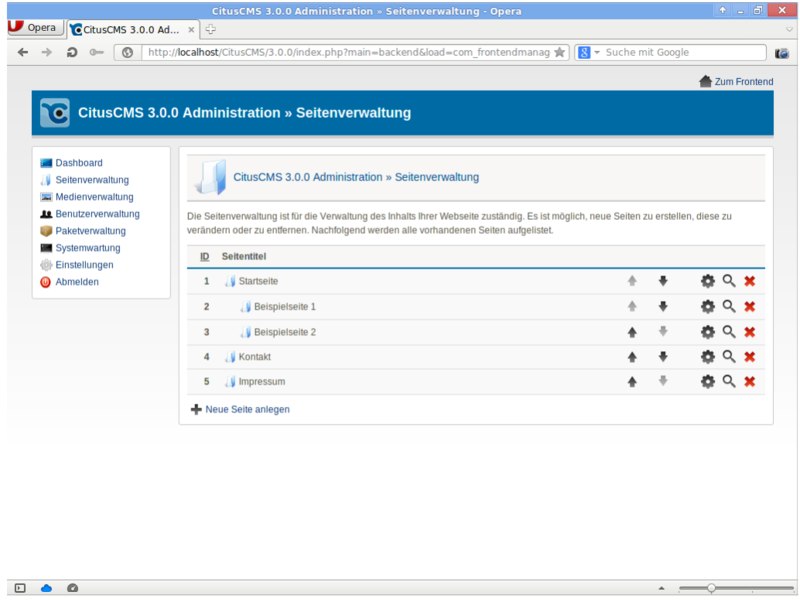 CitusCMS is a free content management system that targets small to medium businesses. It offers a very user friendly administrator panel and fast installation. You can test the CitusCMS demo available at their official website or download the latest version and create your own demo site. Some examples of features include user friendly URLs, simple user management, HTML5 and CSS3 support and two factor authentication. 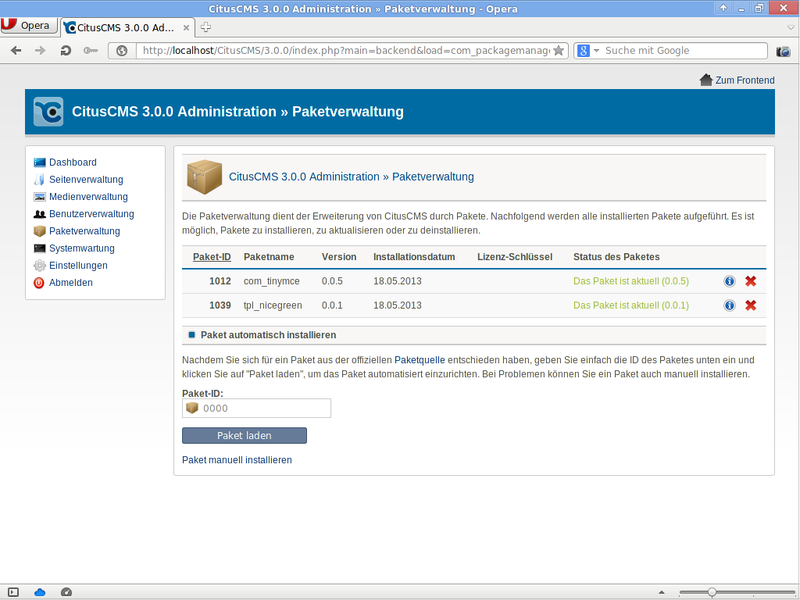 CitusCMS is considered a lightweight content management system, but its features can be extended by installing new extensions or developing your own. The screenshots below will give you a preview of how a CitusCMS demo looks like. The latest version available for download is 3.0.1 and was released on September 6, 2013.